First Principles: Aristotle, Elon Musk . . . and YOU! Before he was a world-changing entrepreneur at Paypal, Tesla, and SpaceX, Elon Musk studied physics at Stanford University. When he switched from physics to tech startups, he brought along a conviction that “First Principles” thinking—drilling down to the foundations of a problem to view it in an entirely new way—should guide business decisions as well as physics research. First Principles thinking has deep roots. Two-thousand years ago, Aristotle said that a first principle is the “first basis from which a thing is known” and that understanding first principles is required in any sort of systematic inquiry—whether in philosophy as he did, or in high-tech, as Musk did in these examples. • With PayPal, the founding team created a fundamentally new way to process payments—via email—in an industry where most had thought change was impossible. • At Tesla, Musk introduced world-changing technology in materials, computing, and batteries. His team asked, “What’s the best way to solve this design problem?” rather than, “How can we adapt existing automotive technology?” By doing so, they reduced the cost of batteries from $600/kwh to $80/kwh for just one example. 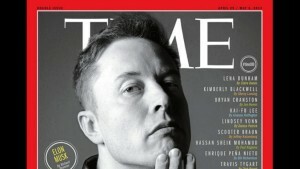 • When estimating the cost of building the first SpaceX rockets, Musk’s team analyzed the components of a rocket then researched the prices of raw materials, instead of using existing rockets as a benchmark. They discovered they could build a rocket for just 2% of the typical cost, making privately-financed space ventures viable for the first time. • Fewer than 30% of adults can swim even 25 meters; less than 2% can swim 400 meters continuously. • For those who take traditional lessons—at any age—a good outcome is a lower risk of drowning. A truly efficient stroke virtually never results. • Despite highly-visible-but-rare examples of brilliance like Katie Ledecky, the majority of competitive swimmers wash out, burn out, or experience chronic injuries by their teens. 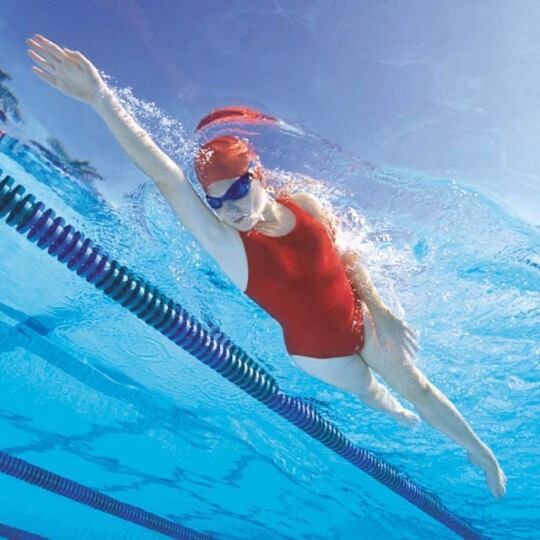 • Lap and fitness swimmers swim for years without improving basic skills. Indeed, it never even occurs to most that they can improve! The prevailing way of thinking, learning, and training work so poorly for so many that it was clear, when we started TI in 1989, that swimming was crying out for change. The innovative thinking for which Total Immersion has become known resulted from challenging assumptions that others had accepted for, well . . . ever. As we did, we saw countless opportunities for new ways of thinking and doing. I’ll share my list of First Principles for swimming below. Before I do, I’ll ask you, dear reader, to do an exercise in meta-consciousness, which I suggest to all my students when they begin thinking about swimming the TI way. I.E. Bring your mental model for how swimming ‘works’ to a conscious level, and think critically about it. What are the two or three fundamental ideas that guide your swimming? Where or how did you learn or acquire these ideas? From these ideas, can you derive a set of principles sufficiently robust to apply to any situation? Do they seem logical and sensible? Do you have a way to confirm their truth? Have your choices and actions—as guided by those ideas—led to positive outcomes and experiences? When swimming the Total Immersion way, the guiding goal is always to improve your swimming. In fact, your primary objective for every swim session should be to be a better swimmer when you finish than when you started. Every other swimming goal—whether it be more efficiency, endurance, speed , or enjoyment—proceeds from the fundamental goal of swimming for improvement. These are the five First Principles we believe every improvement-minded swimmer should understand. Each principle is a reliable truth–derived from a universal law of nature, authoritative studies of swimming, or experience with tens of thousands of swimmers like you. Principle #1 Human swimmers are energy-wasting machines. Thus, our focus should always be on saving energy, before increasing fitness. Principle #3 Efficiency isn’t natural—but it is learnable. Anyone can learn to swim with great efficiency—and improve on it steadily, if incrementally. Principle #4 Strive for a sleeker ‘vessel’ . . . rather than a bigger engine. This is a universally-accepted truth among naval architects and scientists who study fish. Why should it be otherwise for swimmers? Principle #5 Learn and practice technique as a holistic system in which every body part, and part of the stroke, affects every other part. Strive constantly for greater integration. Avoid training as a collection of dis-integrated and independently-acting parts. In my next five weekly posts, I’ll delve deeply into each of these principles and give examples of how to apply them. truly inspiring article. Really makes you/me think of how to swim. I discovered the article this morning, but decided to leave it until I finished my early-morning swim of today* in order to swim with no new concepts in my mind and then realize, after reading the article, about what things I did wrong this morning. I believe the most difficult concept about all this idea is to really include all movements, gestures, positions and even thoughts in this great concept called TI. But It is really inspiring to do this process, walk this path and realize how we have work to be done and, at the same time, there is a lot we have already acomplished. This system is a never ending process. See, Terry, I also ride my mountain bike. Several years ago someone just changed wheels diameters, which used to be of 26 inches, to 29. Nowdays the bycicle world has changed so much that riding a bike where you used to is a completely new experience. In the USA the debate no longer exists. Here in Europe the debate still goes on. Some people are resilient and do not want to change their minds. As in swimming, they believe the new ideas are for taller, better athletes, when the reality is that they could be the ones that benefited the most. When I try to give someone a tip on changing his/her swimming style a bit, trying to make him/her know the TI world, I usually get no answers, or negative answers. Well, brains are hard to change and not everybody is ready to change. The same with eating. Congratulations on your post once again and thank you very much for sharing them with us. * (as temperatures are so unusually high here in SE Spain -above 30ºC all through the night, one must train really early or really late to avoid suffocating. Yesterday I run from 20:15-21:30 and almost died in the process). Thanks for reading that post. I hadn’t even announced or promoted it yet, because I wasn’t happy with the look of the page and needed help to fix it. But I knew the message was a valuable one and am glad you agree. Please watch for the next five posts in this series on First Principles of Swimming. PS: After probably 30 years or riding mountain bikes with 26″ tires, two months ago I got one with 29″ tires. I loved it immediately. It rolls over almost everything. I ride it to the mountain lake where I swim. stand behind in all things we undertake in life. alignment, while moving our bodies/vessels through water! here in hometown, Santa Fe, this Fall! Thank you, Terry, for the direction associated with thoughts. I started Total Immersion in November 2014 after reading your book Total Immersion: Revolutionary Way to Swim Better and Faster. Then I swam 50 meters freestyle in 45 seconds and do 50 strokes. Now I swim 50 meters freestyle in 35 seconds and do 36 strokes. I compete only with myself. I model the further improvement of swimming technique. Every visit to the swimming pool I like (swim) more and more. Someday I’ll get up to these five principles. PS. I rode a 26 wheels and tried to ride on 28 wheels (Giant Carbon). For me, 28 wheels are more suitable. Apparently, everything cycling-ski-swimmers? And this is good! 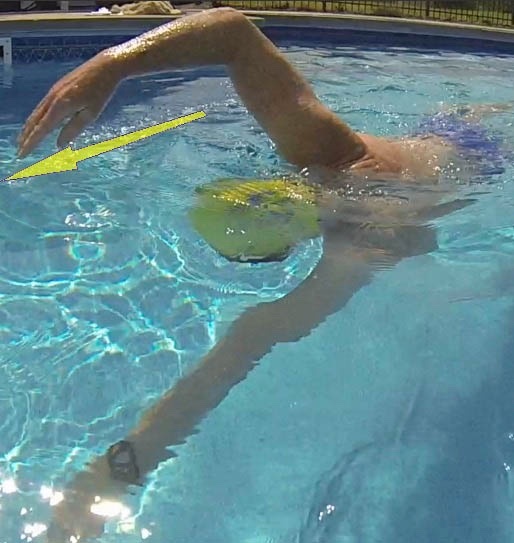 I learnt swimming 15 years ago, at age 43, from the TI DVD, by diligently doing all the drills in the DVD. Everyone in the pool admires my siwimming & marvel at my ability to swim several laps without stopping. They always praise my “stamina” whereas I try to tell them that it is technique & not stamina. I try to tell them that it is simple & all one has to do is – Do the TI drills! But hardly anyone pays attention, but all just pester to “teach us to swim like you”. I am a big fan of TI & living in India, where there isn’t enough coaching available for adults, TI is actually my coach !! Dear Terry, your variant in Maslow’s hierarchy of needs works for me. It works a/o: for cycling, skating, ChiRunning, negotiating and for loving. Answering, before reading your 5 principles, brought me to the 3 needs. The needs: Balancing–Aligning–Drive, are the keys for me as a swimmer. I started swimming in April 2014; your DVD in 10 lessons guides me. I am still working on lesson 3, enjoying balancing in skate alignment. As a novice swimmer, my father teaches me swimming in the forties. The 5 principles are probably the next step for me to achieve in 2018. Is my way of thinking right or didn’t I follow your teachings in your post? Thanks for reading this response, best regards from Miel Kal. Terry, thanks for the continuing insight. Using TI, I started learning properly swim 2 years ago at age 67. Now with mindfull practices I reduced my one mile time from 80 minutes ( untrained) to 37 minutes and have completed 4 open water events of up to 3 miles. As a retired Pediatric Echcardiographer, I am utterly familiar with the ravages of turbulence and resistance on blood flow and the heart. It only makes sense that reducing these same impediments would enhance swimming and likewise heart health! I’d say you should begin incorporating the five First Principles in your thinking right now. They don’t require more skill or experience. They simply make it easier to make confident and well-informed choices. Very interesting article. I had never thought of swimming and entrepreneurship to be related. I used to enjoy swimming but after doing it wrong I hurt my shoulders. I am looking forward to the rest of the series. Thanks Terry for the principles. In Feb. 2014 I could swim 25m. >26m another story! Now I have just swum my first 750m and was just as tired as swimming my usual 10 minute 400m. Now if my 92kg 64 year old body could morph itself into the pencil shaped torpedo of the young girl in the next lane I could see some much quicker times! Sadly untrue. The majority of people who drown are reported as knowing how to swim. the main reasons for drowning are overestimation of the swimmers own ability, underestimation of the power of moving water, or failure to take proper safety measures for their water activity. But I agree wholeheartedly about the shortcomings of traditional teaching. Swimming is a life skill that everyone could learn to enjoy, not just a sporting activity for an elite few. Thank you for reinforcing concepts through TI that I find myself applying to MANY aspects of life. Terrific blog post! What fantastic feedback. I love the distinctions you make. I’ll email you with some thoughts that occurred to me. That factoid that less than 2% can swim 400 meters continuously really hit me. It makes me feel very proud to be among the sliver of the population that can swim a considerable distance non-stop. I am not a competitive swimmer. I started swimming for fitness many years ago and discovered TI four years ago. It has transformed the way I look on swimming — from a fitness routine to a moving meditation. Very encouraging. Thank you for the motivation. I’m not sure how you could reconcile with ARC. Many TI coaches teach children. They do so with entirely different methods than the instructors at nearby pools who were Red Cross trained–and get dramatically better outcomes. The kids learn within a matter of a few hours to swim with striking grace, and they also become passionate about swimming–like our adult students.